Austism/ABA/Special Needs services at Caring Community Center in New Jersey. Caring Family Community Services is dedicated to providing intensive services to children diagnosed with Autism. We provide home-based ABA therapy and address a multitude of behavioral issues. We are committed to serving the family as a whole to help each child reach their full potential. Our services are based on the principles of Applied Behavior Analysis. We provide 1:1 ABA therapy. Our clinical staff, led by a Board Certified Behavior Analyst (BCBA), will provide a full assessment of your child upon referral. An individual treatment plan based on the assessment of your child will be made by the BCBA. The BCBA will also have a bi-weekly meeting to provide parent training and treatment planning. 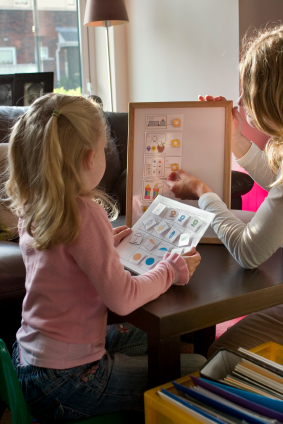 A trained therapist will come to your home each week and provide home-based ABA therapy for your child using techniques such as discrete trial instruction, verbal behavior, fluency-based instruction and incidental teaching. We will also develop functional behavioral assessments, functional communication training and positive behavior support plans.